Ameresco provides all of the services required to develop and deliver energy-related initiatives. We are able - and willing - to work in partnership with you as consultant, as implementer, or in both capacities. Our staff has the skill sets to identify the opportunities, determine the financial impact, and follow through with the actual implementation. This expertise can supplement and enhance your own capabilities, from planning and analysis all the way through full ownership and operations. Automated Building Systems DDC Component Automated Building Systems is an HVAC contractor focusing on Energy improvements, DDC Compponents and Optimization of your facilities. C.W. Industries Twenty years of high technology system integration for commercial and industrial automation. DukeSolutions helps customers achieve broad, organization-wide financial and productivity benefits through integrated energy solutions. Environmental Systems, Inc. Environmental Systems, Inc. delivers superior building performance by clearly understanding our customers’ needs, creating innovative solutions using best-in-class technology and providing expert design engineering and service. We reduce building operating costs and improve profitability and sustainability to enable our customers to achieve a positive return on investment over the life cycle of their buildings. Setpoint Building Automation Inc. Setpoint Building Automation Inc. is Ontario's largest Reliable Control's dealer, operating respective offices in Toronto and Peterborough. We employ in-house Mechanical and Electrical Engineers, Programmers, Technicians, and Graphic Designers to ensure quality installations are upheld by superb support. Please visit our website for detailed information on our company and projects. Trend Controls Online Trend Controls control your energy system for a better office environment and huge energy cost saving. American Auto-Matrix is a market leader in the development, manufacture, distribution, and support of innovative microprocessor-based networkable systems for the control and monitoring of building environments. ASI Controls An entire building automation system can be build with ASI controls and accessories. We have designed our components to work stand-alone or as part of a system network. Products include Configurable Controllers, pre-programmed controllers, software and accessories. Automated Logic Corporation Complex controls made powerfully simple. For more than twenty years - through changes that redefined HVAC control and automation technology - Automated Logic has remained true to a single mission: to bring leadership, innovation and order to the complexities of building control. Automation Displays, Inc. Manufacturer of Temperature and Humidity Control panels with setpoint adjustments for Laboratories, Operating Rooms and Surgical Suites. Botech AB We develop software for web based integrated building management systems. All building systems on a single web page, two-way real time control & monitoring, alarm logging/sending to alarm printer, website, mobile phone, pager. System performance analysis database. Open protocol communication pc, java based system graphics generation software, Greyhound web-server solution and ASP facility. Connectivity via broadband, dial-up modem, cable modem, radio link. Web based database interfacing allowing rational 'on the fly' report retrieval from older unwieldy databases . Computrols, Inc is a New Orleans based Building Automation Systems manufacturer. With the installation of Computrols hardware devices and Computrols Building Automation System (CBAS) software, cutting edge building technology can be at your fingertips. These custom systems monitor and secure building access, maintain energy efficient lighting schedules, and manage occupancy comfort by automatically adjusting heating and air conditioning settings. Additionally, CBAS works in conjunction with existing systems offering complete compatibility with many competitors HVAC, lighting, fire, and access control systems. ControlByWeb | X-300 The X-300 is two products in one package. The X-300 is a powerful web-based temperature acquisitions instrument that allows you to monitor temperatures and control devices over an IP network. Or you can use it as an advanced web-enabled thermostat to monitor and control your HVAC system using IP Networks. Cylon Controls Cylon Controls Limited provides smart energy control solutions for buildings. Founded in 1985, Cylon is now one of the largest independent manufacturers of building control systems in Europe and continues to grow worldwide. With the UnitronUC32 solution Cylon delivered the groundbreaking UniPut™ technology and today continues to lead in terms of innovation and responsiveness to customer requirements. As the independent supplier Cylon’s go-to-market philosophy is based solely on working through approved system integrator partners which ensures competitive service and support for all projects big or small. Delta Controls Based in Vancouver, Canada, Delta Controls Inc. is the leading manufacturer of native BACnet building automation system controllers. As an ISO 9001 certified manufacturer, Delta ensures you receive quality product through our world wide partnership network. To learn more about Delta Controls Inc. and our world of Native BACnet control solutions, visit us on the web. Digital Control Systems, Inc. Digital Control Systems, Inc. manufacturers robust CO2 gas sensors for the HVAC, Greenhouse and Industrial marketplaces worldwide. Our product portfolio includes the AirSense™ Line of CO2 Monitors. Distech Controls Building Automation Distech Controls, Inc., designs, manufactures and markets building automation solutions and open control systems DDC controls and software. Find out more about the EasyControls products. Dorsett's, Inc. Manufacturer of state of the art DDC, SCADA and Building Automation Systems for Government, Industrial and Commercial organizations. Specialize in on-line reporting systems for systems ranging in size from 200 to 100,000 I/O points. DtiCorp.com Shop DtiCorp.com for a wide selection of Honeywell thermostats, HVAC controls and accessories. Electronic Solutions, Inc. (ESI) is the leading producer of intelligent controls for motorized products. ESI pioneered motor control technology with an array of versatile products for motorized window coverings, projection screens, retractable awnings, rolling shutters and exterior solar protection products. ESI controls provide simple and scalable integration into automation systems, offering flexible control of virtually any motorized product — on projects of any size. Headquartered in Lafayette, Colorado, USA, ESI is a division of Hunter Douglas. Elemco Building Controls an industry leader in building controls, automation systems, sub-metering, process control, power quality, indoor air quality, and monitoring and alarming, locally and globally. ELESTA UK ELESTA develops, manufactures and distributes the most user-friendly microprocessor controlled management and control systems for heating, ventilation and air-conditioning installations. Innovative hi-tech components with optimal synchronisation to our comprehensive range of sensors and actuators offer safety in planning and conversion on site. Open protocols and the integration of third party systems increase, in addition, the flexibility of our system. We are always ready to discuss customer requests in order to accommodate their latest needs and offer solutions on time. Efficient Building Automation Corporation (EBAC) provides products, systems, services and support that enable our partners to deliver open and integrated LonWorks® building automation solutions of unequalled quality, reliability and performance. EBAC is the developer, manufacturer and support provider of the Circon® suite of building automation hardware and software products. The Circon product line combines LonMark® International’s open system standards with advanced technology to develop and manufacture controls for HVAC systems, energy management, custom equipment and OEM applications. EUTECH CYBERNETICS PTE LTD Develops and markets VIVA FACILITY WORKS, a suite of building automation software products. VIVA consists of FACILITY SCADA (a personalised SCADA for monitoring and controlling building systems), FACILITY OFFICE (a suite of enterprise applications to manage buildings and facilities), and FACILITY CONNECT (solutions for integrating building systems to Facility Office and Facility Scada). H I Solutions H I Solutions, Inc. manufactures building management, temperature control, lighting control and dimming, monitoring, and access systems. KMC Controls Kreuter Manufacturing Company, Inc. manufacturers of Environmental Controls for Commercial Buildings. LONWORKS Developers and Echelon partners. Madur USA Carbon dioxide Sensors. Infrared sensors to measure carbon dioxide in buildings for control of ventilation. Met One Instruments Inc Manufacturer of weather and particulate monitors and systems. Stationary, portable and handheld air monitoring solutions. Nara Controls Inc. Nara Controls Inc. is a manufacturer/supplier of Building Automation System (Hardware & Software), Direct Digital Controller (DDC), Lighting Control System, Telemetering System and relevant field devices (sensors, controllers, control valves, actuators, etc.). As a specialized company in HVAC automation, Electric Power control & monitoring, Lighting control and Telemetering, Nara Controls Inc. have thousands of achievements in this field, such as commercial buildings, hotels, universities, apartment complexes, sports stadiums, warehouses, industrial plants, government complexes, highway tunnels, etc. Reliable Controls products consist of peer-to-peer, stand-alone BACnet compliant Direct Digital Controllers (DDC) that measure inputs (e.g. temperature, humidity and pressure), and control outputs (e.g. pumps, fans, and lights). Programming and data acquisition reside in a database on board each controller. The controllers communicate with one another over conventional Ethernet and EIA-485 carriers and are accessed remotely by TCP/IP and modem. A flexible and powerful software operating system called RC-Studio is used to program and interface with the controllers. Rockwell Automation produces more than 500,000 products carrying brand names that have been providing automation solutions for nearly a century. Brands like Allen-Bradley, Reliance Electric, Dodge and Rockwell Software. Brands known for their leading-edge technology and responsiveness to customers' needs. SCADA Engine Supply of BACnet Software for Windows and Linux platforms. Including OPC Server, OPC Client, ActiveX and Operator Workstation. Siebe Environmental Controls Siebe Environmental Controls (SEC) manufactures temperature control products and intelligent automation systems for commercial, industrial, and institutional buildings in North America and around the world. With over 200 years of Barber-Colman Environmental Controls and Robertshaw Control Systems expertise, SEC is a leader in the HVAC industry and carries one of the largest selections of building controls in the world. Solidyne is a design, engineering, manufacturing and marketing company specializing in Distributed Direct Digital Control (DDDC) systems. TCS Basys Controls TCS has manufactured technically advanced, affordable products for the HVAC and facilities market for nearly 30 years. Since our early beginning manufacturing sensors and transducers, our product line and offerings have steadily evolved to include state-of-the-art controls for virtually any application, a leading-edge energy management software platform, professional installation services and a world-class 24/7/365 service and support team. Teletrol Systems, Inc Teletrol provides high quality, reliable automation products and services that emphasize ease of use, quick installation, standards, and interoperability. Temco Controls Ltd is a manufacturer, distributor and installer of control systems for Heating, Ventilating and Air Conditioning (HVAC) applications. Triangle MicroSystems, Inc. TMS offers state-of-the art control systems to fit your building automation and fuel control needs with a proven array of high-performance solutions to help you control costs and optimize your energy investments. Vantage Controls, Inc. Vantage Controls, Inc. - 13 years of industry experience in the field of lighting control and automation. Engineers and manufacturers of control systems for residential and commercial applications. Vortechs Automation, Inc. Providing a range of services in support of energy management and DDC controls since 1990: Consulting for energy consumption reduction and equipment control, Design and installation of automated controls for industrial process and building systems, CFR-21-11 validated systems, New system commissioning, Existing system re-commissioning, System service and maintenance. Authorized dealer for KMC Digital products in Eastern Pennsylvania. Systems Integrator for Iconics “Genesis” Suite of automation software. Walker Systems Corp. Manufacturers of WalkerCONTROLS DDC (HVAC) controls network. YORK International YORK International’s Engineered Systems Controls offer a wide range of products and services. From the new line of ISN ConneXsys controls which feature BACnet, an open communication protocol which is quickly becoming the industry standard, to the full line of MicroGateways, Network Devices, and state of the art Operator Work Station, York Controls offer a complete building automation solution. ATI Air Test Technologies Inc developer and manufacturer of superior quality, state-of-the-art gas detection and air monitoring equipment as well as providing pipeline leak surveillance services. AirWays Environmental Services provides indoor air quality (IAQ) testing and consulting services in the New Jersey and New York City area. Building Air Quality a Texas based consulting firm in business to identify and eliminate Indoor Air Quality (IAQ) problems in commercial buildings. Critical Environment Technologies Canada - Gas Detection for your Critical Environment; Design and manufacture of Hazardous Gas Detection products / Industrial, commercial and office applications / Monitors for safety, air quality and equipment control. EBTRON Electronic Airflow Measurement EBTRON's Web Site includes: product catalog information, sales rep locator, support FAQ, news, downloads and links. EPA United States Environmental Protection Agency - Indoor Air Quality web site. Indoor Air Diagnostics, Inc IAD is an environmental services firm which specializes in providing complete indoor air quality diagnostic services. AIMNET Smart Building Systems Site provides information on AIMNET Smart Building systems and services. EMS by Log-One Ltd. Manufacturers of Energy Management Systems (EMS), Smart Thermostats, energy saving devices, custom electronic designs, and custom panels. Specializing in unique applications. Distributes Home Automation and Security Systems. Energex Inc. We manufacture sensor-based energy solutions for the hospitality industry and other similar verticals. IntelliNet Controls IntelliNet manufactures economical, energy management and controls systems for the light commercial market. Systems do not require a computer to program or configure. Economical, "Plug and Play" energy management and control for the light commercial industry. Pragmatic Communications Systems, Inc. Multi-room, Multi-zone audio/video distribution and control on single category 5 wire up to 1000 ft. Distribute true DVD quality video and audio without any loss in signal performance. All plug and play system with no programming, no cumbersome menus, etc. No ground loops, no hum, no noise pick-up, no wiring hassles either. PSG Controls, Inc designs and manufacturers temperature indicators, controls and alarms. Systems Controls & Instruments, LLC designs and manufactures low voltage digital thermostats, a total environmental control system, a portable digital computerized instrument that will measure Temperature, Humidity, Air Velocity, CFM and BTU/H.and Commstat Controls a simple and convenient energy management system that can be controlled by telephone or at the touch of a button. Blue Ridge Technologies offers proven energy management solutions with a focus on Unified Lighting Control that completes the Building Automation System (BAS) and leverages existing infrastructure. Our unique approach, delivered through local controls experts, features a wide open platform empowering customers to utilize preferred system components. Experience the difference others count on. Douglas Lighting Controls Inc. A complete line of Lighting Controls including panels with Low Voltage Relays, Photo Controls, Occupancy Detectors, Time Clocks, Computer Controlled Systems and Architectural Dimming Systems. Electronic Theatre Controls, Inc entertainment and architectural lighting systems. Encelium Technologies Inc. Integrated lighting control and energy management system for all commercial applications. Incorporates personal control from desktop computer, variable load shedding, occupancy sensing and daylight harvesting. New construction or retrofit. gentec Gentec offers Kameleon, the summum in centralized low voltage lighting control system. Extremely flexible and based on the Echelon Technology, it provides the user with a unique mean of control, tailored to his needs. Gigahertz-Optik Technical product, tutorial and application guide for measurement of light and measurement with light instrumentation. LC&D Lighting Controls LC&D manufactures next generation lighting controls. Leviton was founded in 1906 to manufacture a single product: tip mantles for gas lights. Since then, the Company has become a leading North American producer of electrical and electronic products. Learn more about the Company and the markets it serves. Leviton LonWorks® Lighting Controls a fully-interoperable solution for open building architecture. Lutron Electronics Co., Inc with more than 60 utility and 30 design patents and over 5000 products, Lutron continues to lead the way in dimming innovation and quality. Products range from simple wall controls that dim room lights (like the rotary control you probably have on your dining room wall) to complex systems that can control an entire home or building. mySmart CTI SmartCTI helps to create the most energy saving and resource-efficient built environments possible. Starfield Controls, Inc. Manufactures cost effective, ergonomic dimming controls as alternatives to conventional light switches. These low voltage lighting control systems offer low glare, high contrast visual comfort. Available equipment includes a plug-together wiring system, wall and desk mounted controls, 3-way dimming, and BAS interface cards. Touch-Plate Lighting Controls provides the perfect solution for industrial and commercial applications by allowing total system integration. Touch-Plate DMX panels are designed to handle all the non-dim, DMX controllable loads associated with theatrical and architectural control systems. They are perfect for all theatrical control environments and DMX controlled architectural systems. Touch-Plate's BACnet Gateway allows any of the "BACnet-ready" companies to control a MCP system. This enables many control signals to interface directly to the lighting control system from the other Building Management Systems over a single set of wires. TRIATEK provides a complete line of low voltage lighting controllers including relay panels, circuit breaker panels, lighting panel upgrade kits, switches, sensors, software and other items that integrate seamlessly with most building automation systems including Andover, Alerton, Automated Logic, Delta Controls, Honeywell, Johnson Controls, Siemens, Staefa, Teletrol and Trane while also being BACnet and MODBUS compatible. Watt Stopper, Inc. The Watt Stopper manufactures a complete range of lighting control products including indoor and outdoor occupancy sensors, plug load controls, remote lighting controls, daylighting controls, and energy auditing tools. X-10 USA X-10 has the most readily available and inexpensive equipment on the market. Minicom Digital Signage Solutions Minicom is the pioneer in Video over CAT5 Technology. We provide the "last mile" of connectivity for Digital Signage Solutions. Our broad range of A/V extension and distribution systems enables customers to connect players to displays with the best multimedia performance available. International Systems of America, Inc. ISA provides parts, circuit board repairs and service for building automation, energy management, fire and security systems. Potter Electric Signal Company Manufacturer of Fire Sprinkler Monitoring Products, Fire Control Releasing Panels, Security Products and Industrial Controls. System Sensor we produce fire detection and notification devices designed to make sure time is on your side. Automated Control & Technical Services Industrial & Building Control Automation Integrator. Automation Engineering Associates Ltd. Engineering company provides DDC control. Automation Systems Interconnect is a manufacturer and supplier of interconnect and interface products that have been designed for industrial control equipment and systems. Ball Valves Industrial series stainless steel, cast iron, pvc and brass ball valves by Valtorc International. Built in America, built to last. Contemporary Controls Designer and Manufacturer of ARCNET, CAN and Ethernet products. Data Acquisition Modules Manufacturer of Data Acquisition Modules that communicate via RS-232 and RS-485. Modules utilize ASCII and Modbus RTU protocol. Foxboro supplier of recorders, controllers, valves, measurement transmitters, analyzers, training courses, and enterprise software. Kepware Communications Kepware is the world leader in communications for automation delivering over 130 protocols including many for Building Automation. Korenix Technology Supplier and manufacturer of industrial Ethernet switches for building automation applications. Products offered also include PoE injectors/splitters, serial cards, device servers, and RS232 to RS422/485 converters, Ethernet to fiber converters. LCN Building Automation Manufacturer of the exceptionally reliable LCN building automation system. LCN is easily expandable from a small system in a single room to a multi-story building system. The system is very cost effective because of its distributed intelligent mesh network design. Matrikon OPC is the worlds largest supplier of industrial connectivity, with over 400 available process drivers, including OPC SERVER/CLIENT/DRIVER, MODBUS, FOXBORO, INFOPLUS, SCADA, HONEYWELL, GCOM, DNP, HISTORIAN, REDUNDANCY, SIMATIC, WONDERWARE, DDE and DDE SERVER. SouthSideControl.com South Side Control Supply Co. is one of the largest and most respected HVAC/R controls distributors in the United States. Access Control Tensor manufacture and supply smart card and biometric time attendance, access control, and visitor monitoring systems and software. Access Specialties, Inc manufacturers of quality access control / facility management software and hardware. Access Gold, security made easy: Powerful, yet easy to use Windows software featuring Alarm Monitoring, Alarm Graphics, Alphanumeric Paging and CCTV. Ademco Distribution Int'l (ADI) America's largest "wholesale to the trade" security and low voltage products distributor, for the service and support you need to thrive in the security industry. CCTV Systems We offer a range of CCTV surveillance options, from preconfigured to customized system and accessories. Whether you would like to upgrade an existing system or install a new one, our CCTV security camera experts can help you find an effective solution to protect your home or business. CCTV Security Products SourceSecurity.com, the complete industry guide for security products, including CCTV cameras, access control systems, wireless security cameras, network security cameras, biometric readers, smart card readers, infrared cameras, security surveillance and wireless security system. CISCOR Building security and monitoring systems featuring automated dispatch to security or maintenance personnel via computer generated voice messages. Also output alarms to pagers, subscription pagers, fax, email and digital receivers. 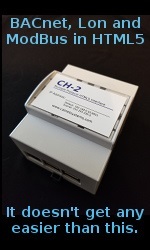 Input hardwired, wireless or RS232 serial data from other systems such as HVAC or fire. Automated dispatch can also connect all security desk functions to hand held radios such as CCTV output and control of pan/tilt, door intercom and door unlock, turn lights on/off etc. Powerful software is simple to use. Home Automation, Inc. HAI is a national manufacturer of integrated automation and security systems for residential and commercial use. ID Card Printer Systems at Safe Card ID Complete photo id card systems and supplies to provide secure id badges for your organization. Intelligent Video Surveillance (IVS) Video Analytics is a new and growing market. VideoAnalytics.net was created to help you understand what Video Analytics is and how you can benefit from this new invention. Kondor Security At Kondor Security it is our goal to provide top of the line security products to the often ignored end-user at a reasonable price. We carry products from ISONAS, Pelco, HID, DataCard, Security Door Controls, Rutherford Controls, and many many more! Matrix Systems Inc Integrated access control, alarm monitoring, credential production and digital video solutions for aviation, healthcare, corporate and government. NAPCO Security produces access control systems, alarm locking systems, security systems. Norco Alarms and Security Systems This top-rate Security Store specializes in commercial and residential security systems. Nordicom - Personal security & emergency response system Nordicon provides personal security localization solutions, also called duress systems for acute healthcare services, such as psychiatric wards, as well as high security facilities to create safe environments for staff, patients and visitors. Power over Ethernet (PoE) Access Control Borer Data Systems is a UK manufacturer with over 30 years experience in the field of Power over Ethernet Access Control, Attendance Management, Visitor Management and ID Badge Design. Security Door Controls (SDC) an industry leader in high-quality access control systems and components, including Electric Locking Devices, Delayed Egress Systems, Access Controls, Egress Devices, Control Consoles, Power Supplies, Accessories, and System Engineering. UHL Company UHL Company is a 100 year old company that specializes in all sorts of building automation. We provide everything from temperature control to security systems for commercial industries. Vicon is a world leader in the design, engineering and production of high quality video systems and equipment. For over thirty years, Vicon products have been protecting and securing the most prestigious locations in more than forty countries the world over. Vigilance and Security Help protect your home or business with our professional cctv surveillance systems, featuring: video baby monitors, nanny cams, security dvrs, multi-location observation systems, video door phone intercoms, infrared cameras, security tips and much more. Free UPS Ground Shipping. WECU Surveillance Security Cameras Professional Security Cameras and Surveillance Equipment, preventing crime, removing criminal opportunities by creating Real World solutions for the 21st Century. Ontario Parking Systems Limited Slide Gates, Parking Revenue and Access Control Systems, Turnstiles. Otis, a wholly-owned subsidiary of United Technologies Corporation, is the world's largest manufacturer and installer of elevators, escalators, moving walkways and other horizontal transportation systems. Schindler Elevator Corporation is the North American operating entity of the Swiss-based Schindler Group, Europe's largest and the world's second largest elevator company. The company is the world's leading supplier of escalators. Schindler designs, manufactures, installs, maintains and modernizes internal transport systems for almost every type of building requirement worldwide. The company specializes in latest-technology engineering, mechanical and micro-technology products designed and rigorously tested for comfort, efficiency and reliability. Thyssen Dover Elevator In Any Language, Thyssen Dover Elevator Says Excellence. Number One In Production And Manufacturing. Number One In Quality.